Features: Ornate Vintage Filigree Earrings Art Deco. Sterling Silver w/ Swarovski Crystals. 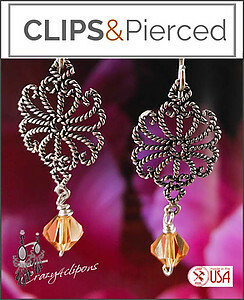 Avail as Pierced & Clip ons. Handmade in CA, USA.